The Incase Terra Collection weaves natural materials into a range of uncomplicated, casual bags designed for easy packing and lightweight travel. Oversized zippers and bold accents lend a playful, easygoing look to classic Incase bag designs while signature Incase device protection make the Terra Collection ideal for everyday use. Based on the famous Incase Protective Sleeve, the Terra Sleeve offers complete notebook protection with a unique look. 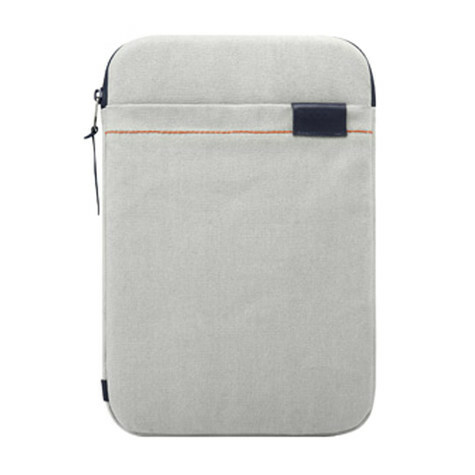 An external document pocket lets you tuck your essentials away for easy carrying. Item: Terra Collection Sleeve 13"